Sonic expands their chicken sandwich selection with the introduction of the new Honey Mustard & Swiss Chicken Sandwich as well as by bringing back the Asiago Caesar Chicken Club Sandwich. 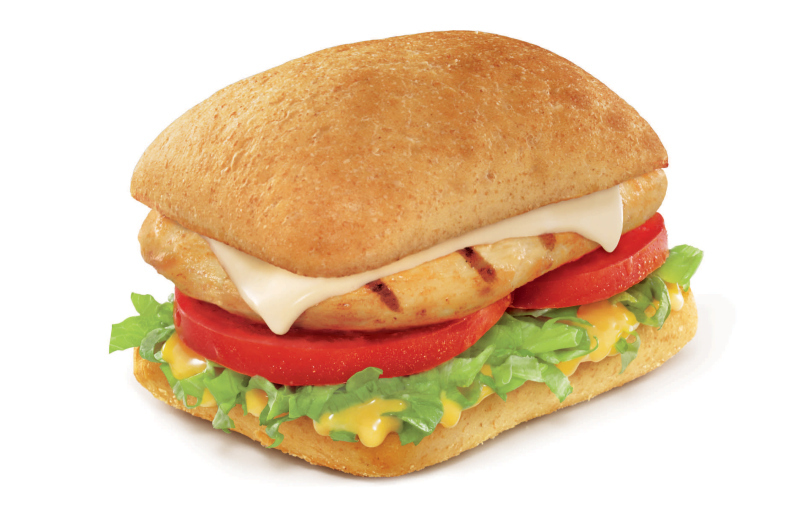 The Honey Mustard & Swiss Chicken Sandwich features either a grilled or crispy chicken breast with lettuce, tomato, honey mustard sauce, and mild Swiss cheese on a whole-grain ciabatta bun. The Asiago Caesar Chicken Club Sandwich comes with either a grilled or crispy chicken breast plus bacon, Asiago cheese, Caesar dressing, lettuce, and tomato on a whole-grain ciabatta bun. The Honey Mustard & Swiss Chicken Sandwich has a suggested price of $4.49, while the Asiago Caesar comes in at $4.89. Also making a return are Sweet Potato Tots, a sweet and salty take on Sonic's signature Tots. All three items are only available for a limited time at participating Sonic restaurants through the end of April.